Our last day of Dinner in this 4 Weeks to Fill Your Freezer challenge was a pretty big hit! I don’t make enchiladas very often, I don’t know why. But these Red Chicken Enchiladas were pretty good. Then again, we’re huge fans of Mexican food. To start, I cooked some frozen chicken in the slow cooker. Each batch (I doubled it) uses a pound of chicken, and the piece I had was about 1.5 pounds… close enough! Once the chicken finished, I shredded it in my KitchenAid mixer and added half the enchilada sauce, all the cheese, the beans, and the green chiles. Next is just filling and rolling the tortillas! I’m a nerd and use a simple food scale to measure out exactly how much mixture to put in; but I’d say about a 1/3 cup will do. 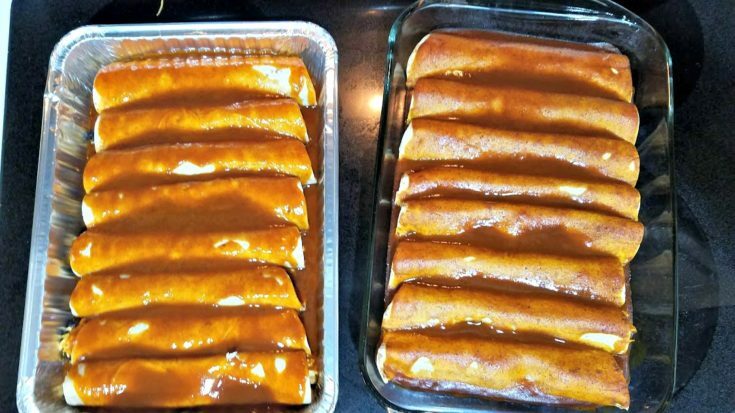 I doubled the recipe, so I used two 9×13 pans to fit all 16 enchiladas. 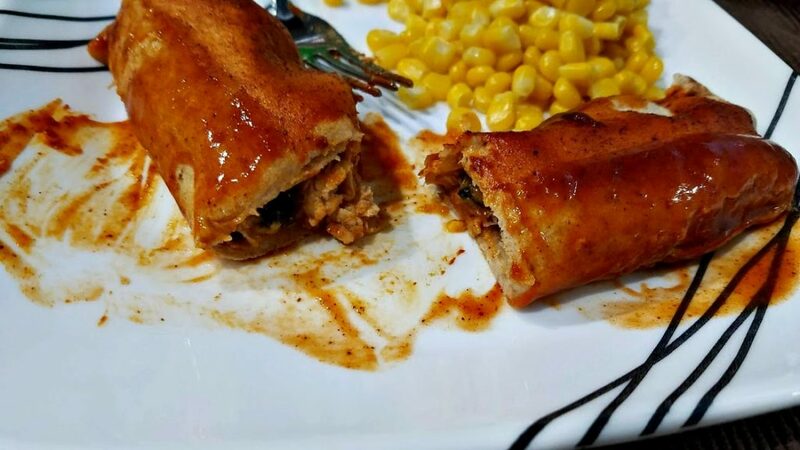 Once they were all rolled, I poured the rest of the enchilada sauce on top and baked the one we were going to eat that night. The other one was covered in aluminum foil and put in the freezer. 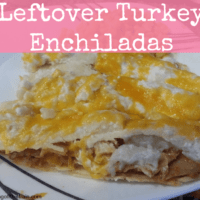 We served our enchiladas with some frozen corn and it made a good meal! Spanish rice would be a nice option, too. You can also top your enchiladas with sour cream, salsa, guacamole, or other favorite toppings. We were pretty simple. Overall, I’m pretty happy with how all my freezer dinners turned out! Most of them were put in the freezer instead of being eaten that night, so we have a large amount to eat next month. 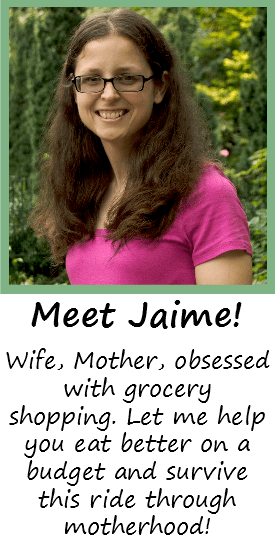 If you missed any recipes, scroll down to find the entire list so far! 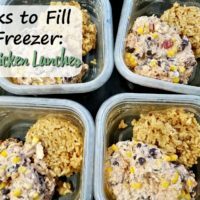 Looking for a large, easy freezer meal? 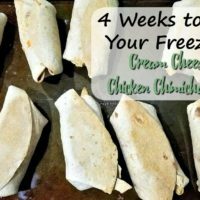 These Red Chicken Enchiladas are a delicious Mexican dinner and can easily be doubled! 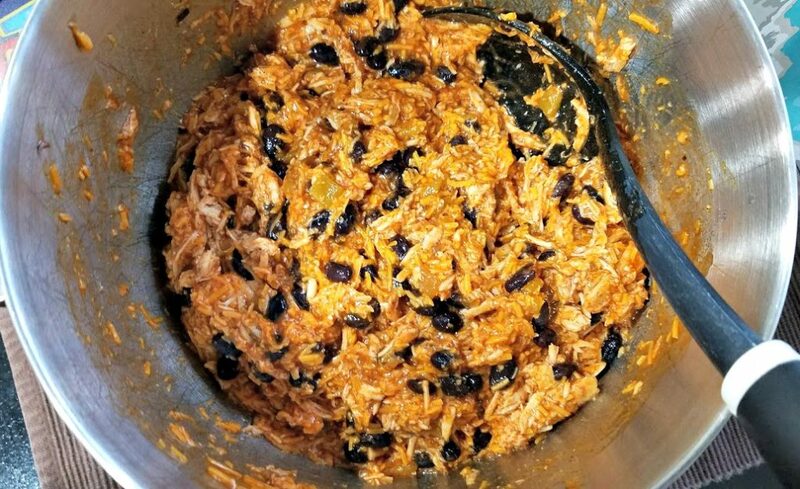 In a large bowl, mix together the chicken, cheese, green chiles, black beans, and one can of enchilada sauce. 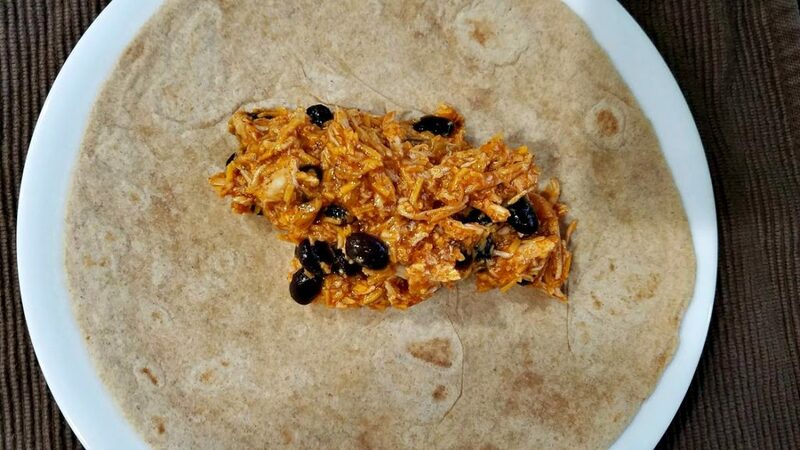 Use a 1/3 cup to scoop the mixture onto a tortilla, then roll up, leaving both ends open. Place seam-side down on a 9x13 dish. 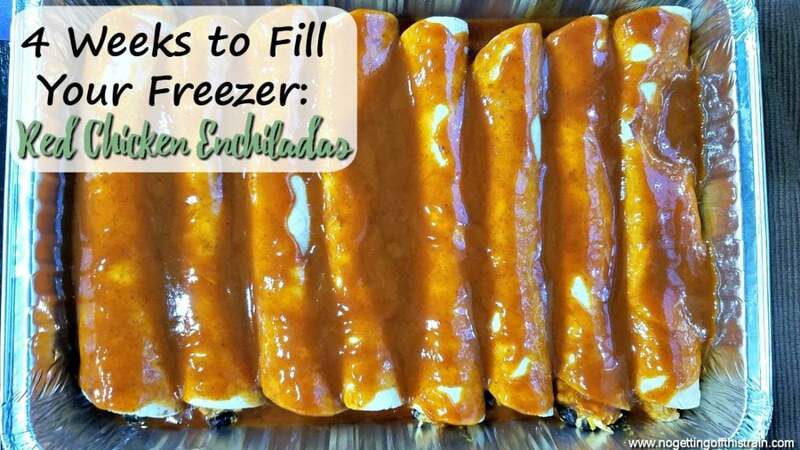 Once all tortillas are rolled, pour the other can of enchilada sauce over top. Bake for 25-30 minutes until hot and bubbly. Serve with corn, Spanish rice, or other desired toppings. 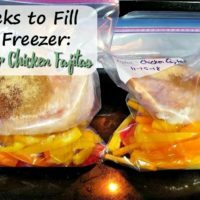 This recipe easily doubles if you want to turn this into a freezer meal! Prepare in the same way but in a foil 9x13 dish and do not bake. Cover with aluminum foil and write the baking instructions on top.